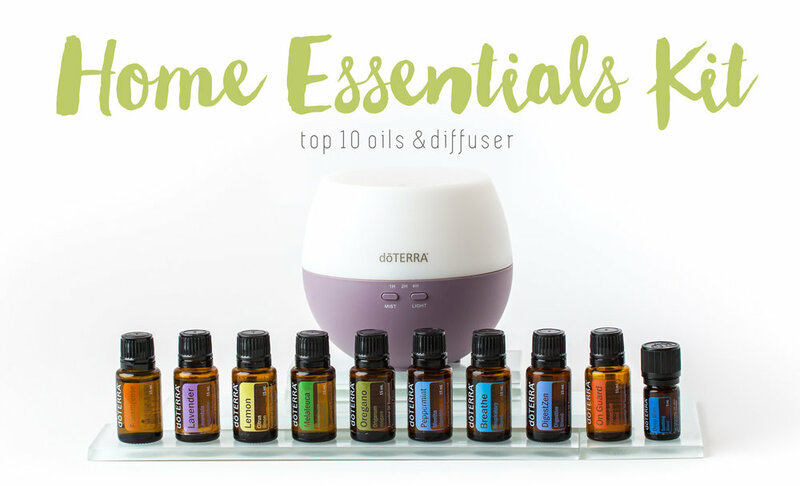 dōTERRA Essential Oils are an amazing accompaniment to every household well-being tool kit. The world's purest form of essential oils, these potent little numbers have a huge range of benefits to help support you and your family, in everyday life. Follow this link to find out more information on the oils at my dōTERRA Wellness Advocate website. Please contact me if you wish to have a personal wellness consult to discuss how these oils can benefit you. Have you ever wondered what the big deal is with essential oils? You may have noticed these days, more and more information is coming out about how essential oils can be used as part of our daily health and wellness tool kit. There is much merit to this information! So, what are they? Essential oils are the pure extracts from plants that are Mothers Nature's defence mechanism for the plant. These are highly concentrated and are up to 70 times more potent than herbs. Plants produce oils to fight off threats such as mould, bacteria, viruses or fungus. The oils, unlike water, are able to penetrate the cell membrane of the threat thus eliminating the threat to the plant. The same goes for our cells and the cells of threats that may effect us in a negative way! PLANTS! They are the essential oil particulate that is extracted from the plant (either the leaf/stem/root/flower/crystallised sap or other parts) by using steam extraction. There are other methods such as picking fresh mint and putting it in a cup of boiling water and hey presto - fresh peppermint tea! This however, while it is a refreshing drink, is no where near as potent as using the pure extracted oil. Basically there are 3 ways you can use them: aromatically, topically, or internally. Aromatically ~ By inhaling directly from your skin (placing a drop on your palms, rubbing them together, and inhaling deeply for 4 breaths). Another way is by diffusing the oils into the air using a diffuser (best practice says to use an ultrasonic diffuser that does not heat the oil in any way as heating or "burning" the oil effects it's beneficial properties in a negative way). Depending on the oil, the purpose for use and the size of your room, you may want to use 3-8 drops in your diffuser. Topically ~ By diluting the oils in a base carrier oil such as fractionated coconut oil, vegetable oil, olive oil (only use cold pressed extra virgin!) or another type of carrier oil (there are many different carrier oils available, though fractionated coconut oil the one of the most stable), and applying to the skin in a massaging motion over various areas of the body for desired effects. NOTE: There are different dilution proportions for different ages of people from babies to adults. Please be aware of diluting appropriately so as note to harm the skin or apply the oils too strongly. Internally ~ By ingesting the oils in either a glass of water, via tea or your favourite smoothy, or taking a drop in a vegecap as part of your daily supplement routine. There is much controversy around ingesting essential oils. The only brand of essentials oils I would ingest is doTERRA as they pump millions of dollars every year into ensuring they produce the absolute highest quality oils on the planet that are certified tested grade essential oils. I would not recommend you go to the supermarket and starting ingesting any of the oils you can find on the shelf, as majority of these oils are synthetic and not good for your insides! Or your outsides for that matter, hence why I now only use DoTERRA!. 1. Replace chemical based cleaning products in your home/office/car. 2. Use them to enhance your skin care products to leave your skin feeling revived and rejuvenated by Mother Nature's hand. 3. Clear stale air in your home when someone brings in unwanted colds to your sacred environment. 4. Freshen up a recipe by adding a few drops to salad dressing or bliss balls. 5. Use to sooth aches & pains such as headaches, bruises, sore muscles and joints. 6. Use a few drops in a bath to relax at the end of a big day. 7. Use to change the mood of our kids or teens when it's time to motivate the crew to do things like homework! 8. Use to clean your hands while out and about without a sink in sight. 9. Use as an antiseptic to ward of infections in mild cuts and grazes. 10. Use to aid digestion and help your stomach organs operate optimally. You cannot buy DoTERRA essential oils off the shelf at your local supermarket. But you are in luck! The absolute BEST WAY TO GET THE OILS IS HAVING YOUR OWN ACCOUNT!!! And how do you get that? You ask me!! Contact me if you would like to get your own wholesale account (that's right, wholesale account means wholesale prices!!) and I can help guide you through setting up your account so you get that absolute BEST DEALS INCLUDING FREE OILS!. Now, I know I have used a lot of capital letters and exclamation marks in this last paragraph, but that is because I am so excited about now having these oils in my life and how I can use them that I want you to take notice and to have them in your life toooooo!....! Alternatively, you can head to my DoTERRA website and sign yourself up - it's easy, just follow the steps below. Or call me on 0413479483 or Facebook message me (even if you don't live near me - there is always live chats available!) and we can arrange a wellness consult to make sure you get the best oils for your home and family. Ordering doTERRA oils is like becoming a Costco member… you can get the oils at wholesale prices! It costs a one-off fee of $35 OR you can join with a kit (they start at $174) which waives the joining fee AND gives you massive savings on oils as well! This also takes the guesswork out of how to get started as you can choose a great all around kit to suit your budget and needs. 1. Open a new window in your browser by hitting the Join & Save link below. This page will come up. 2. Select the country you want to ship from (this will set up your account to automatically ship from that country so if you are in Aus, select Australia). 3. Select what currency and which warehouse you want to ship from. NOTE: if you select Australia but wanted to order something from the USA (they have some different products to us) then you can still place a USA order down the track! 4. Select your member type. Note: If you select "Wellness Advocate", this means you can sign people up under you and have the opportunity to receive commissions (it does not mean you have to build a business!). If you select “Wholesale Customer”, it means you get access to all the same prices and offers as Wellness Advocate, you just can’t ever sign anyone up. You can switch accounts from Wholesale Customer to Wellness Advocate if your wish to, and this is best discussed prior so I can explain the process so you fully understand what is involved. 4. Fill out your details and ensure that the the Enroller ID field contains my name Kylie Bertuch Haynes and number 4037274 (this is important as without this, I can't tell if you have signed up and can't give you guidance and coaching on how to get the absolute best value out of your account - such as how to get free oils!!). 5. From there, select the product kit you want to sign up with (you can find out more here: Enrollment_Kits_AU). They start at $174 - I always recommend the HOME ESSENTIALS KIT ($330 AUD) or larger as the value of money is extremely high and you end up with one of the most practical kits for use straight away! You get a diffuser, 10 of the most useful and popular oils, 9 of which are in 15ml bottles (that's thousands of drops of oil - remember, these are very potent and you only need a few drops per use). There literally 100's of ways you can use this kit in your life!! You can alternatively just pay the $35 membership fee (and order your desired products separately) or you can go to the point of building a business with doTERRA and then your best option is a larger kit such as the Diamond Kit (this may seem like a big investment upfront but you get soooooo many other benefits that give you a much bigger head start and equates to quite a small investment when it comes to starting a business). If you want more information about starting a doTERRA business, contact me!! You can become part of the fastest growing team in the history of doTERRA. You can also head to my fearless leader Presidential Diamond Leonie Dawson's page here at Team Unicorn Wiki for tones of information at your finger tips! There is also our fantastic Facebook group: Essential Oils with Leonie Dawson that is full of oily info, uses, ask questions and get support if you need it! What an abundant community to be a part of! Remember you can always ask if you're unsure or need more information!! Don't forget to LIKE our Facebook page Ginger Ki Yoga & Wellness and JOIN our Facebook group Ginger Ki Yoga & Wellness :: doTERRA Essential Oils for regular articles, info, uses, and much more!